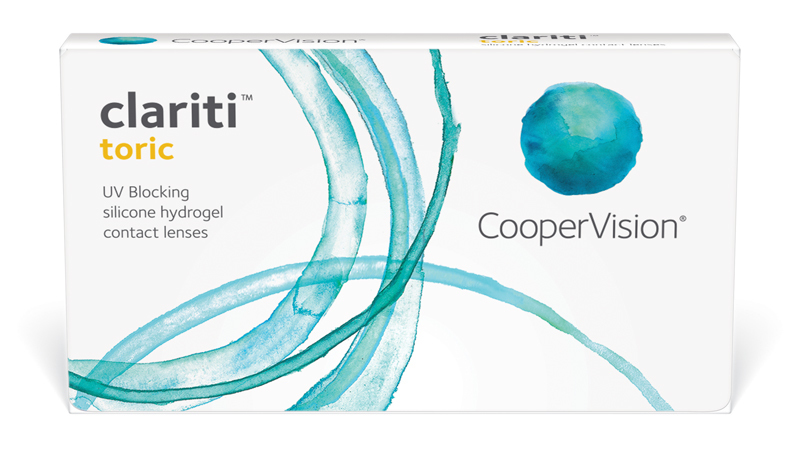 CooperVision clariti® toric lenses incorporate the right balance of oxygen transmissibility, non-surface treatment, low modulus and high water content, producing a lens that provides optimal comfort and corneal health. clariti toric lenses feature AquaGen™ technology, a process that ensures continuous wettability throughout wearing time. The high 56% water content in clariti toric lenses combines with AquaGen technology to support excellent all-day comfort for your patients. For excellent visual acuity, these lenses also feature aspheric optics to minimise aberration. clariti toric lenses feature an aspheric back surface and blended edge design that optimises lens movement on the eye, while minimizing lens and conjunctival interactions. The design also features smooth transitions between zones, cut in a single pass. The result is exceptional comfort and handling for your patients. You’ll also appreciate how clariti toric’s optimised design ensures interchangeability with other disposable lenses for high levels of refitting success. A single orientation mark at 6 o’clock simplifies your assessment of fit. Talk to your astigmatic patients about the healthy advantages of silicone hydrogel, monthly contact lenses. *Warning: UV-absorbing contact lenses are not substitutes for protective UV-absorbing eyewear, such as UV-absorbing goggles or sunglasses, because they do not completely cover the eye and surrounding area. Patients should continue to use UV-absorbing eyewear as directed.